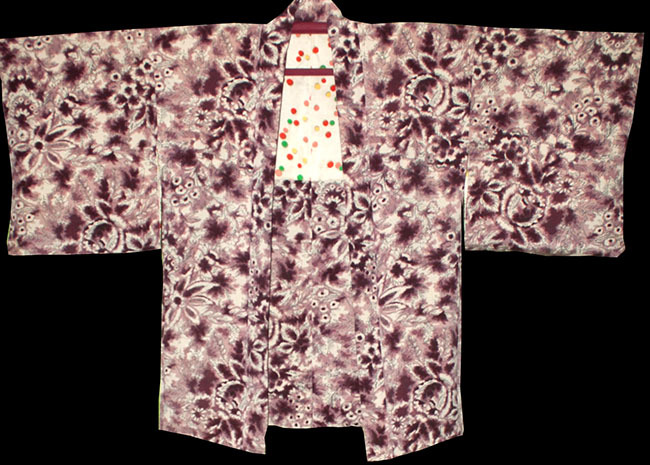 Kimoyes item: 22175 - Lovely soft silk haori with dyed flowers in purple shades. 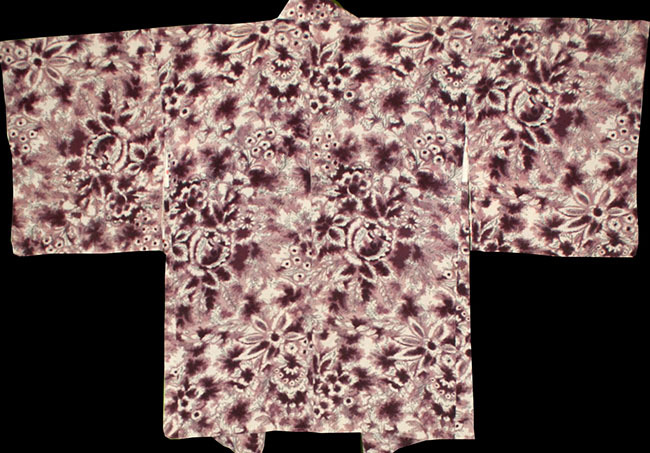 Lovely soft silk haori with dyed flowers in purple shades. 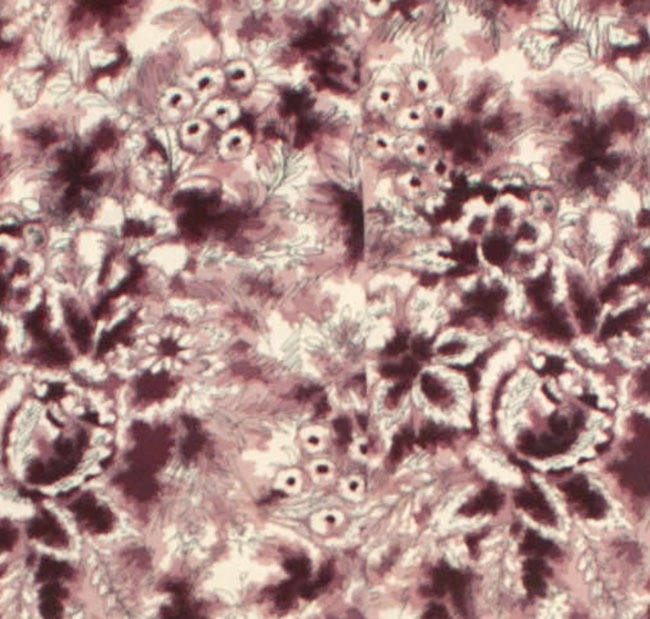 The silk lining has a colourful circle design on cream silk. 37 inches long and 51 inches from sleeve edge to sleeve edge. It is finished with contrasting hand woven silk ties.